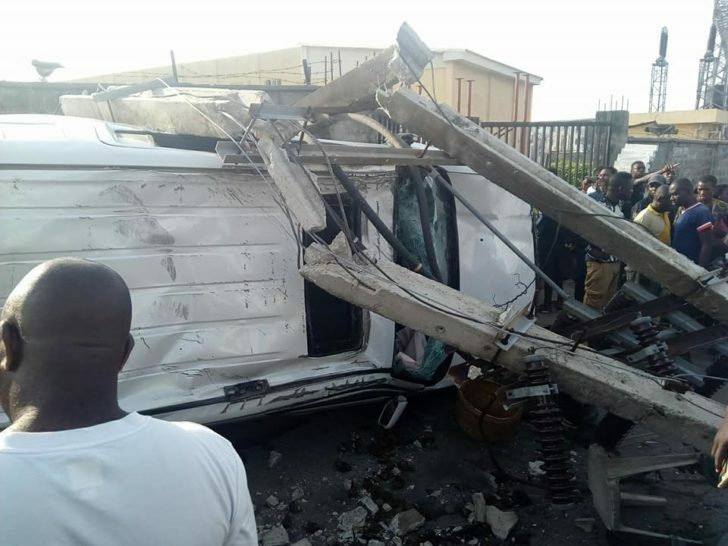 A ghastly motor accident happened at Jakande first gate in Lekki phase 2 Lagos, in the early hours of Tuesday. 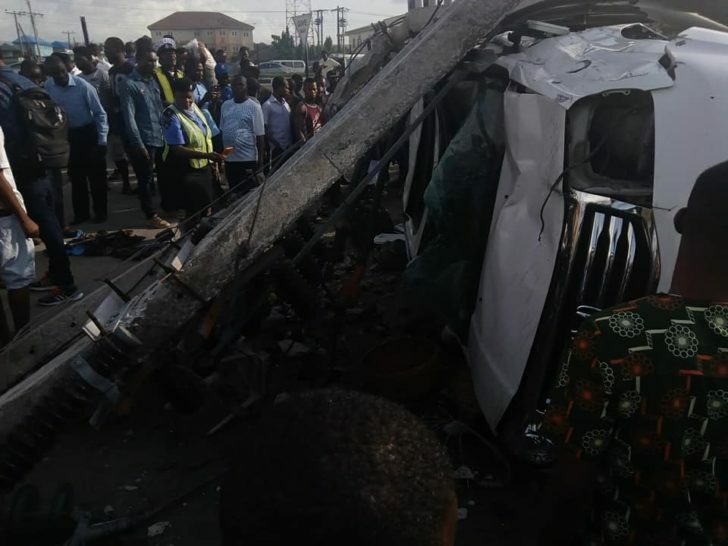 According to an eyewitness, the accident was caused by some guys said to be ‘Yahoo boys’ as they were coming from a night club, totally drunk. 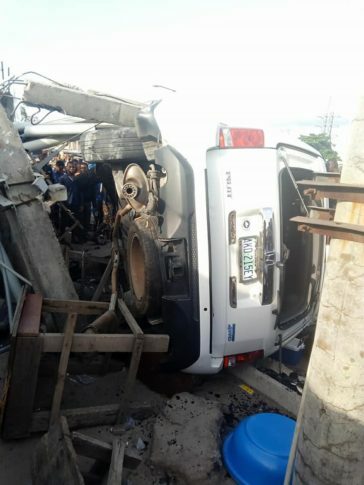 The Honda Pilot SUV which was being driven was damaged beyond repairs, as it crushed everything along its path including electric poles and the gate following the accident. 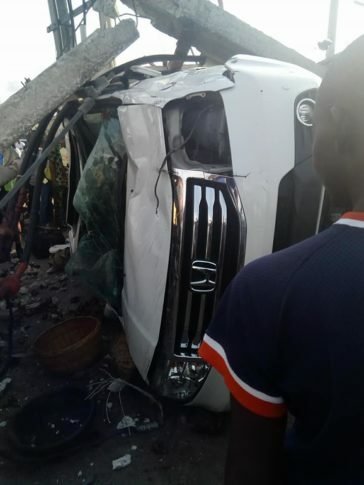 It was also gathered that a woman was injured in the process but no life was lost. 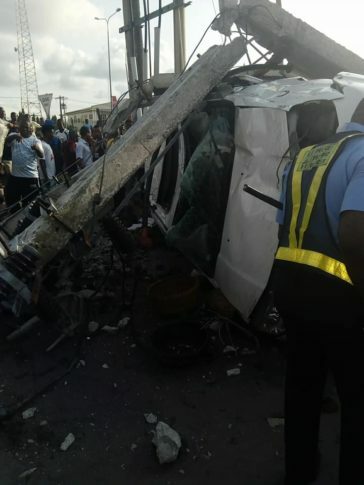 The horrific accident is said to have caused a traffic gridlock in the area as the authorities have arrived the scene to control the incident.